Slot Bonus Rounds - How Often Will You Get A Bonus Feature? Free spins, pick to win games, and wheel spinning bonus features are just some of the many additional bonus games which you can trigger and be awarded with when playing online slot games. Yet when you do play any video slot game which boasts a bonus game, you can often be quite frustrated by the frequency at which that bonus game is triggered and awarded to you. You could be quite lucky and get several bonus games triggering in a very short period of time. However, the opposite is also true, and you could often find you have to play hundreds of base game spins before triggering a bonus game! The actual odds of you being awarded any slot games bonus features are determined by several different things. These include how many Bonus or Scatter symbols you need to spin in to trigger the bonus game including the way in which these symbols must spin in, and also the actual number of those symbols on each reel and the length of each reel strip. Once you are aware of those two aspects in regards to the way the bonus games are awarded on any slot, you can then accurately work out what the odds of you being awarded the bonus game are. That is of course, if the slot you are playing is truly random. Note: This article features MicroGaming slots, though the logic and background works for those from all the software providers. Check out my main Casino Slots Software article for the full list! How Many Spins Per Bonus At Popular MicroGaming Slots? Below I have listed several of the most popular Microgaming slot games, each of these slots have been certified as being 100% random, and each of them does of course award a bonus game! We have also listed below the number of base game spins required between each bonus game being awarded, and these figures are based on the number of bonus game awarding symbols on each reel and also the number of reel symbols found on each reel. Please be aware, the number of base game spins between each bonus game being awarded and triggered is the average number of spins. Since distributions are also random it there will be periods when more bonus rounds are triggered and also periods where it takes many more spins than this to trigger the bonus features. But by knowing just how often and on average those bonus games are triggered, this listing may give you some ideas of just which slots to play, for the best chances of triggering the respective bonus game! Spring Break Slot – The reel strips on reels one to four of Microgaming’s Spring Break slot are 30 symbols long, with the fifth reel strip containing 44 reel symbols. There is just one Scatter symbol on each of those five reels, and as such the odds on you being awarded with the Free Spins bonus game feature by spinning in three of the Scatter symbols when you are playing this slot are on average once every 143 base game spins. The number of base game spins required to trigger this bonus game via four Scatter symbols spinning in is once every 2895 spins, and to spin in all five Scatter symbols to trigger the bonus game you will on average have to wait until you have completed a total of 146,667 base game spins! Be aware that as the Scatter symbols are used to trigger the bonus game it does not matter how many paylines you activate, the average number of spins between each set of free spins being awarded works out to be the same. Cashville Slot – Scatter symbols are used to trigger the pick to win bonus feature round on the Cashville slot from Microgaming, this is a 20 payline slot, and as the Scatter symbols can spin in anywhere in view, the number of spins between each bonus game triggering are the same irrespective of just how many paylines you choose to put into play. You will get awarded with a higher number of picks during the bonus feature depending on just how many scatters you spin in. There are a total of 23, 24, 31, 34 and 32 reel symbols on paylines one to five respectively, and reels one to four have one Scatter symbol on them with the fifth reel containing two Scatter symbols. This therefore means the number of base games spins required on average to trigger the three Scatter symbol bonus game is 98, whilst the number of base game spins it will take on average to spin in four or five Scatter symbols is 1,741 and 76,617 spins respectively. Cashapillar Slot – We have included in this listing the Cashapillar slot for this is a 100 payline slot game which offers an enormous jackpot on which up to 6 million coins can be won! The reel strips on this slot game are huge with reels one to five containing a total of 79, 78, 74, 94 and 94 symbols each. There is just one bonus game awarding Scatter symbol on reels one, two and three, with the fourth reel containing three of them and the fifth reel containing two Scatter symbols. You will therefore find the average number of base game spins required to spin in three of these symbols, which is the minimum number required for you to trigger the Free Spins bonus game is 169 spins, with the number of spins on average to spin in four or five Scatter symbols is 3,765 spins and 214,885 spins respectively. Secret Admirer Slot – One final slot game which is quite unique in what it has to offer via its bonus game is Microgaming’s Secret Admirer slot. 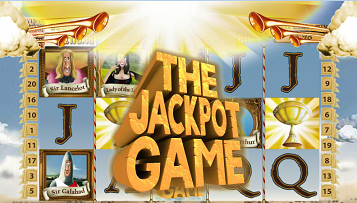 This is one of their 9 optional payline slots, and when playing it you can trigger a set of Free Spins, however as they are in play only the Scatter symbols can award you with winning payouts! To trigger this bonus game two of the Scatter symbols need to spin in both on reel one and reel two in the same base game spin. There are 50 reel symbols on both reels one and two and reel one has one single Scatter symbol on it with reel two having two Scatter symbols on it. This means that should you play this Secret Admirer slot game online, then the number of spins on average you will need to play off before the bonus games is awarded to you is every 139 spins, and being Scatters the number of paylines you play has no effect on the average number of spins required to trigger the feature. The place to head for online slots for US based players is Bovada.lv. This casino is part of the global Bodog family, and offer a huge range of slot games from 3 different software houses (RTG, Rival and BetSoft). These include huge jackpot games, mobile slots, 3D slots and even the famous progressive iSlots range. Bovada are a clear number one for slot promotions too. Check out www.bovada,lv for yourself now! The best place to head for online slots for is the Unibet casino. Not only do you get the security of a huge brand, you’ll find slots and jackpots from many of the biggest software houses there including MicroGaming, IGT, NetEnt and more. Unibet also look after their loyal players better than any other online casino. See the latest promos and check out the exceptional choice of games at www.unibet.com for yourself now!